Nazi Propaganda Minister Joseph Goebbels turned words into a weapon of mass destruction. The big lie theory or commonly known as Goebbels’ principle states that if one wrong is reverberated many a times then people will accept that wrong as right. Joseph Goebbels believed that “the most brilliant propagandist technique will yield no success unless one fundamental principle is borne in mind constantly – it must confine itself to a few points and repeat them over and over”. If one tells something repeatedly that is utterly false, for example, the sun rises in the south, and there will be a time when a section of people will think it to be true. In other words, a big lie (German: Große Lüge) is a propaganda technique. The expression was coined by Adolf Hitler, when he dictated his 1925 book Mein Kampf, about the use of a lie so “colossal” that no one would believe that someone “could have the impudence to distort the truth so infamously.” Hitler asserted the technique was used by Jews to unfairly blame Germany’s loss in World War I on German Army officer Erich Ludendorff. 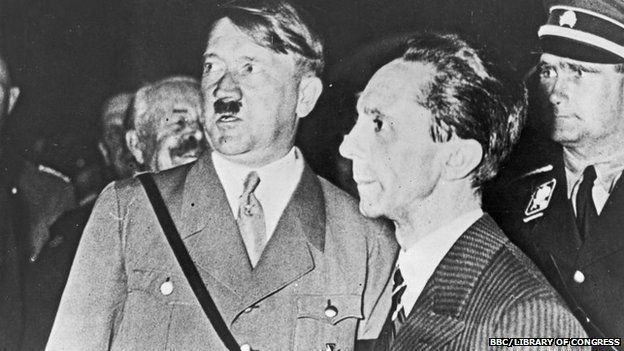 In 1933, the year Adolf Hitler (1889-1945) became chancellor of Germany, he named Joseph Goebbels (1897-1945), his trusted friend and colleague, to the key post of minister for public enlightenment and propaganda. 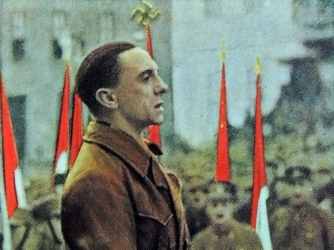 In this capacity, Goebbels was charged with presenting Hitler to the public in the most favorable light, regulating the content of all German media and fomenting anti-Semitism. Goebbels forced Jewish artists, musicians, actors, directors and newspaper and magazine editors into unemployment, and staged a public burning of books that were considered ”un-German.” He also spearheaded the production of Nazi propaganda films and other projects. Goebbels remained in this post and was loyal to Hitler until the end of World War II (1939-45). On May 1, 1945, the day after Hitler committed suicide, Goebbels and his wife poisoned their six children and then killed themselves. The Democrat Party: Masters of The Big Lie. The southern border is not in crisis. Obama created the current, amazing economy, lowest unemployment in 40 years, etc.